Nudging Asteroids to Save the Earth (and how you can help). All you have to do is look at the craters on the Moon. How do you think they got there? 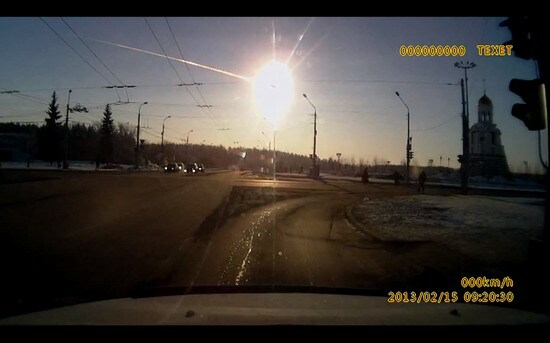 On February 15, 2013, as a delegation from the Association of Space Explorers was discussing how to prevent future Earth-Asteroid impacts at the United Nations in New York City, a meteor entered Earth’s atmosphere and exploded over Chelyabinsk, Russia. Luckily, no one was killed, but the explosion caused a brilliant flash brighter than the Sun and an enormous shock wave. As a result, approximately 1100 people had to seek medical treatment and more than 7,000 buildings were damaged. On June 30, 1908 an enormous explosion known as the Tunguska Event rocked a remote region of Russia. The energy from that explosion is estimated to have been 1,000 times greater than the atomic bomb dropped on Hiroshima. It is estimated that the bomb dropped on Hiroshima instantly killed between 60,000 and 80,000 people. Although there have been other hypotheses put forth, the generally accepted explanation for the Tunguska Event is that a small asteroid or comet exploded when it collided with the Earth’s atmosphere. Earth-asteroid collisions are not mere science fiction events created in the imaginations of Hollywood writers, they are real events and not so rare that we can afford to ignore them. Actually, we have the technology to prevent them. Imagine the loss of life if an asteroid collided with the Earth and produced an explosion over New York 1000 times greater than the explosion over Hiroshima in 1945. New York and its 8 million people would be obliterated, and the U.S. financial system would be in danger of collapsing. It would trigger a world-wide depression. “This is taking responsibility for the survival of life on planet Earth.” — Russell Schweickart, former NASA astronaut (Apollo 9 Mission) and co-founder and chairman emeritus of the B612 Foundation. Watch the video: Defending Earth from Asteroids – A panel discussion held at the Museum of Natural History in New York City on October 25, 2013. Link to: B612 Foundation and consider a donation.